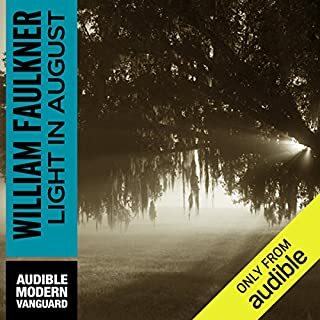 William Faulkner ranks among the greatest American writers. Now, you can discover his literary and spiritual genius with Thomas Merton as your private tutor. Part of both Merton’s spoken word and literary legacies, this series has a foot in two worlds. Hear one great literary mind on another. 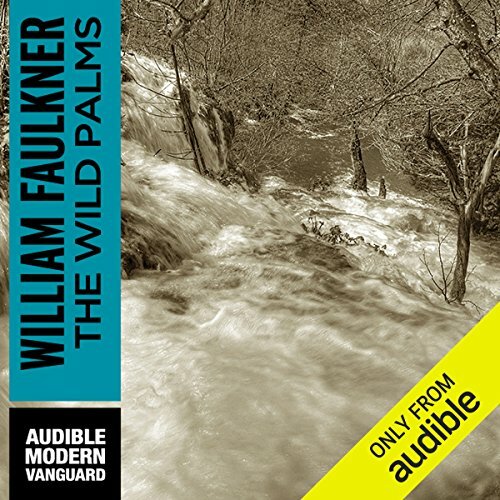 ©1964 William Faulkner (P)2010 Audible, Inc.
Would you listen to The Wild Palms again? Why? Yes. As well as having a compelling story that builds gradually to an intriguing conclusion, The Wild Palms is structured in a way that made me go back to earlier chapters to see how subsequent events are foreshadowed. What was one of the most memorable moments of The Wild Palms? The climax of the "Wild Palms" portion of the novel is unforgettable. Having said that, the account of the flood in the other portion, "The Old Man", is also remarkable. The quote, "From grief and nothing, I choose grief", resonates and has an interesting relationship to the French film Breathless, in which this line is quoted. 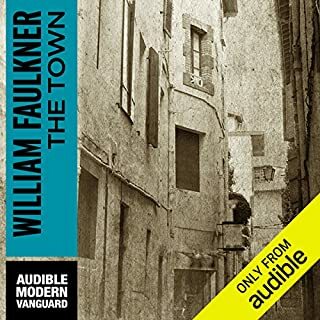 Marc Vietor gives an excellent performance, well-sustained and with a dignity that serves Faulkner's prose well. The Southern aspect is evident in a good way, without ever seeming overplayed or affected. 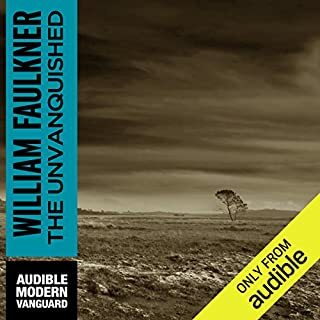 Faulkner's work is read impressively by various narrators at Audible.com, and this book is no exception. I took a while to get into this, mainly because of the unorthodox structure. It is difficult to understand the relationship between the two alternating stories. The relationship is not direct but involves themes that echo between the two: loss, endurance, sacrifice, the transience of human relationships, attempts to comprehend intense experiences and to resolve threads of existence. It's a sad book that includes an element of the absurd. I was surprised to see that this audiobook hasn't been reviewed yet. I downloaded it a while ago and had assumed that other listeners would have reviewed it by now. 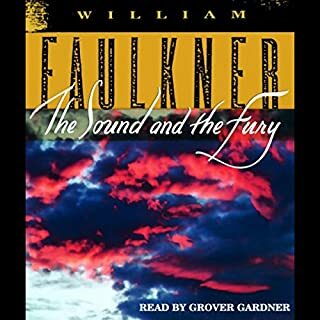 Although it's not the most famous of Faulkner's books, nor, like any of his work, a light read, I found it to be moving, intriguing and memorable. I've read that other writers often made fun of the dialogue in some of Faulkner's novels. I'm no Faulkner scholar; after having read or re-read nearly all of his novels now though, I'd say this book is THE primary suspect. The dialogue between the 2 lovers at the beginning of their affair and onward through the botched abortion is embarrassing and distracting. I've never read any interaction so awkward in all of literature. I rate this the worst of all Faulkner novels. I can handle almost any dismal tragedy in literature, like most of the rest of us; yet, this novel's beyond (or below) any hopeless gloom I've ever read, particularly when considering the subject matter of one of the 2 running stories. A reminder that even the best have bad books. 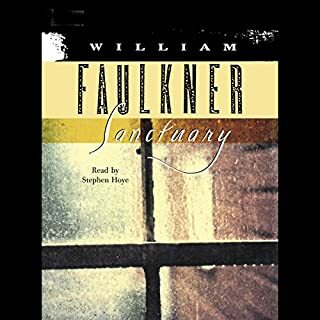 Though the two narratives are fairly unrelated, Faulkner presents two interesting meditations on the nature of passion. What occurs when people tap into passion? Are they rewarded with a life of happiness, or are they thrust into a life filled with regret? The Old Man looks at a man jailed for his participation in a failed heist, who is given the opportunity to escape prison. And The Wild Palms section discusses the failed romance of a couple who look to make life have meaning via their passionate affair. Both of these narratives end with the male in jail, because they are stuck in lives that do not allow for them to be forgiven for their previous dalliances with passion. Perhaps Faulkner was questioning why people give in to passion, but I think it equally probable that he questioned the viability of a life without passion. Horrible lack of time and space at end of novel! 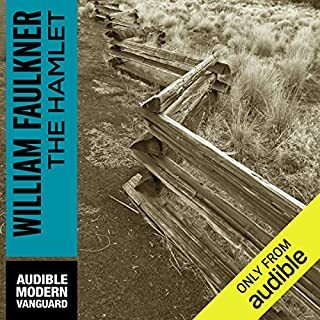 Horrible lack of space between a great novel and a great audible performance, and an unexpected interview of a Faulkner aficionado. Honestly? The interview kept me from steeping in the conclusion of the novel and ruined it for me. I found this quite transporting. Something ethereal and sublime comes out in the combination of Marc Vietor's reading and Faulkner's prose. Superb.